Line a rimmed cookie sheet with parchment paper, if you don't have any just spray it liberally with non-stick cooking spray. Rinse your carrots and pat dry. 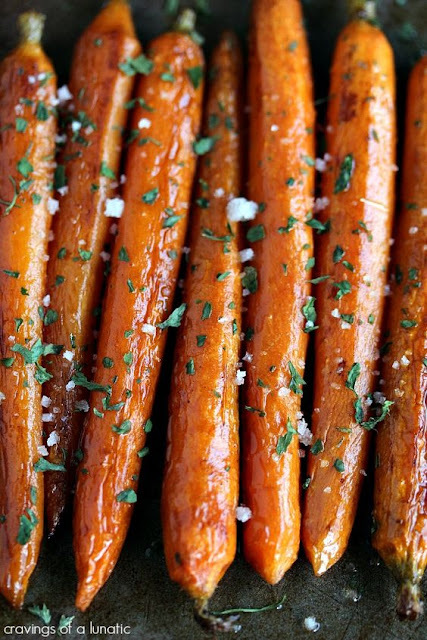 In a medium sized glass bowl (or large if double batching) place the carrots inside. In a small glass bowl add the balsamic vinegar, then slowly add the olive oil while whisking with gusto. Do not use aluminum bowls, it doesn't play well with acidic ingredients. Whisk with gusto until your arm falls off, or your ingredients combine perfectly. Now pour the balsamic mix over top off the carrots. Toss the carrots until well coated. Pour them onto the cookie sheet..